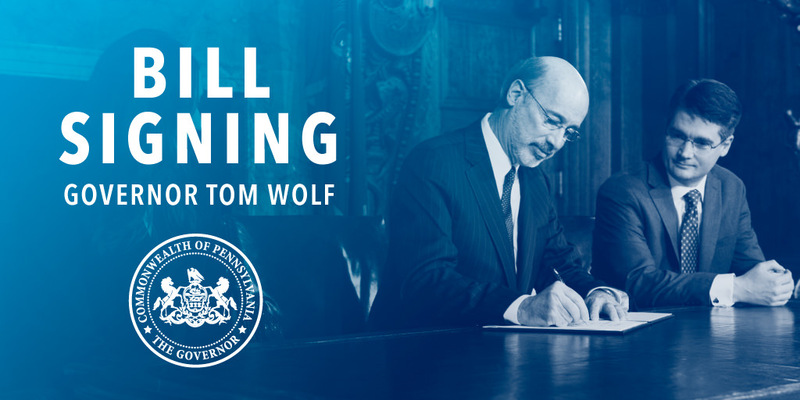 Harrisburg, PA – Governor Tom Wolf signed House Bill 1552 into law, which establishes a fair funding formula and provides emergency funds for two of the commonwealth’s financially distressed school districts. Governor Wolf also called for new funding to help restore equity to Pennsylvania public school districts. House Bill 1552, now Act 35, establishes a fair, equitable formula for allocating new state funds to Pennsylvania schools. Number of children who are English language learners. The BEF Formula was created and unanimously adopted by the bipartisan Basic Education Funding Commission in June 2015. Having a formula in place will assure school districts that new funding will be distributed equitably and investments in education will no longer be determined by the influence of one legislator over another. Governor Wolf is seeking additional education funding in the 2016-17 budget, which would be distributed using the new BEF Formula. The 2015-16 budget included a $200 million increase in Basic Education Funding that will be distributed using the Fair Funding Formula. This increase, along with the new funding formula, will continue to restore Pennsylvania schools from the deep cuts of 2011. This will also help to ensure that all students are getting equitable access to a quality public education. In addition to enacting a fair funding formula, Act 35 contains emergency funding for two financially distressed school districts in the commonwealth. Wilkinsburg in Allegheny County will receive $3 million and Chester Upland in Delaware County will receive $12 million, with each amount being applied to the districts’ base funding moving forward.